While home sales have continued to trend below long-term averages this year, there are signs that the Greater Vancouver real estate market is building strength heading into the summer months. At this time last year, sales were cooling from the near-record activity in the previous spring. This year, we’ve seen a further slowing of home sales activity, with approximately 1,600 fewer sales as compared to this point in 2012. Last month, however, was our first year-over-year gain in sales in any month since September 2011. Property listings are coming on the market at a slower pace than we saw last year. This is keeping supply in greater alignment with demand, which allows for stability in pricing and greater balance in the market overall. 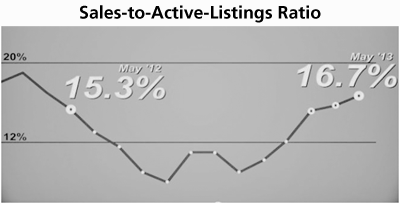 Over the last three months, the sales-to-active listings ratio in Greater Vancouver has been at 15 per cent or higher. It currently sits at 17 per cent. Generally, analysts say that a balanced market occurs when the sales-to-active listings ratio sits between 10 and 20 per cent for an extended period of time. This ratio hit 15 per cent in March, marking the first time it had been that high since May 2012. Between June 2012 and March 2013, the ratio sat in buyer’s market territory, reaching as low as eight per cent. We’ve also seen good stability in the MLS® Home Price Index this year. The current benchmark price for a detached home in Greater Vancouver is $917,200, which is down a little over five per cent from May 2012, but is up just 0.3% from six months ago. The benchmark price for townhomes in the region is $454,900, down 3.2 per cent from last May but up just 0.1% from six months ago. The benchmark price for apartments in the region is $365,600, which is down 3.7 per cent from last May, but up just 0.2 per cent from six months ago. It’s taking 52 days on average for members to sell a home listed on our MLS® system. This is nine days longer than the average in May of last year. We can never know what tomorrow will bring, but what we’ve seen through the first half of the year suggests that our market is enjoying a spell of balance and stability as we move into the second half of the year. Is Vancouver Really One of the Least-Affordable Cities? “Vancouver: Not as Expensive as You’d Think”? It’s an unexpected title when we’ve been told time after time that Vancouver is one of the least affordable cities in the world for housing. Some economists and real estate watchers call our market a bubble. So far, however, there’s no evidence of any price collapse. 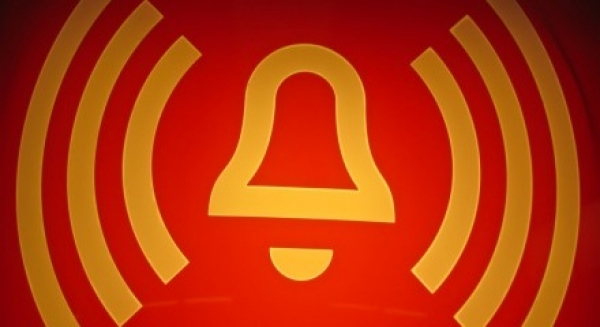 What keeps our so-called bubble from bursting? In this recent article in Vancouver Magazine, real estate writer Jim Sutherland points out that thriving industries including construction and lumber, a wealth of natural resources, and strong local businesses are keeping the economy buoyant and helping to maintain the real estate market. But the X factor is immigration. He traces the strong historical correlation between the number of immigrants to our area and home sales and prices. As immigrant landings rise and fall, so does the real estate in the Lower Mainland. He quotes a survey that calculates housing affordability for the world’s largest cities in over 100 countries. It puts Vancouver at only the 125th least-affordable city in the world, on a par with Amsterdam, Stockholm and Barcelona. Compared to major Chinese cities such as Beijing, Shanghai or Shenzhen, suddenly Vancouver isn’t so expensive at all. Major world cities such as “Moscow, London, Paris, or Tokyo are up to twice as expensive.” When immigrants from these countries arrive, they see a spectacular, liveable city with reasonable (to them) pricing and a great quality of life. Nobody’s saying that $1 million for a Vancouver special on the east side is affordable, just that on the global scale of expensive housing, we’re in the middle of the pack, not out in the lead. Posted in Real Estate Related | Comments Off on Is Vancouver Really One of the Least-Affordable Cities? Strathcona neighbourhood in Vancouver, British Columbia Photograph by: Vancouver Courier , file. As Vancouver’s oldest residential neighbourhood, Strathcona has a long and rich history that is stained with soot, fire and grinding poverty. Despite plots of gentrification, however, its residents have always held on to the working class soul of the community. Strathcona is bordered by Burrard Inlet to the north, Clark Drive to the east, False Creek to the south, and Chinatown to the west. 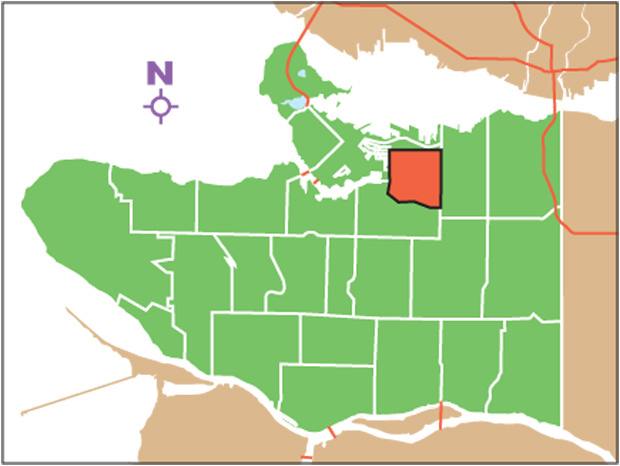 Before European settlement, the Squamish, Musqueam, and Tsleil-Waututh First Nations people occupied the area. Strathcona began as a camp of cabins built around Stamp’s Mill (later renamed Hastings Sawmill.) The early neighbourhood served as a hub for labourers migrating from across the country, China, the U.S. and Europe, who were drawn to Canada’s western frontier. As a result of the mass influx of workers and their families, Strathcona was the location of Vancouver’s first school: Hastings Mill School, a single-room schoolhouse that also served the children of Moodyville (now North Vancouver.) The Hastings Sawmill was one of the few structures to survive the Great Vancouver Fire of June 1886 and its unlikely survival would later reflect the perseverance of Strathcona’s heritage throughout the next century. Strathcona takes its name from Lord Strathcona (Sir Donald A. Smith,) who drove the last spike completing the first transcontinental railway at Craigellachie, B.C. During the 1960s, Strathcona was considered a slum by many. City planners considered demolishing a large portion of the neighbourhood to make room for an interurban freeway that would have also affected much of Gastown and Chinatown. The first part of the freeway, the Georgia Viaduct, was completed and effectively destroyed a section of Strathcona called Hogan’s Alley. Hogan’s Alley was Vancouver’s predominantly black neighbourhood. The rest of the freeway never became a reality. Though many treat the neighbourhood as a temporary home before moving to other areas of the city, a sense of pride and activism remains. On April 1, 200 residents protested what they saw as a hastily made plan by the city to remove the viaduct. The result, they say, would be an increase in traffic and congestion in Strathcona, which remains one of the few affordable options for real estate in Vancouver. 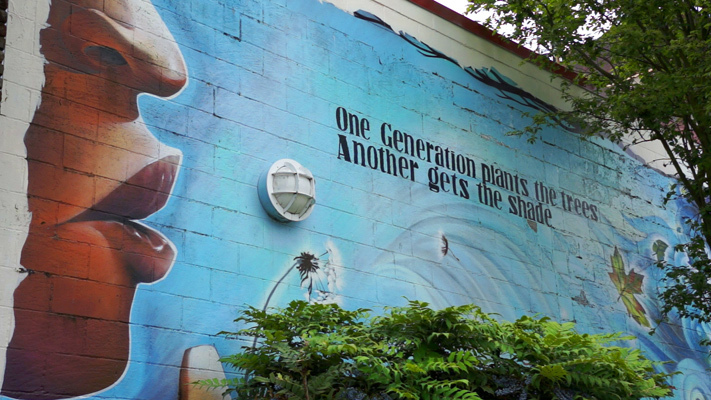 “Seeds of Change” by Nelson and Xochitl Garcia is one of dozens of murals brightening up buildings, alleyways and overpasses in Strathcona as part of a city-wide initiative to celebrate the history, heritage and culture of Vancouver’s first urban areas. Photograph by: Screenshot , Michael Kissinger. As part of the Courier’s Vancouver Special neighbourhood series on Strathcona, we took to the streets and talked to Esther Rausenberg and Richard Tetrault who’ve been instrumental in creating, organizing and drawing attention to the dozens of murals in and around Strathcona. “If the upcoming supply of units is not absorbed by demand as they are completed over the next 12 to 30 months, the supply-demand discrepancy would become more apparent, increasing the risk of an abrupt correction in prices and residential construction activity,” states the report. The warning is contained in the latest review of the country’s financial system by the Bank of Canada, as it singles out the Toronto condo market in particular as carrying a high level of unsold high-rise units in the pre-construction or under construction stages. The report specifically fears a domino effect throughout the housing market unless the current glut of inventory in GTA condos is absorbed. “Any correction in condominium prices could spread to other segments of the housing market as buyers and sellers adjust their expectations,” reads the report. Worse, the Bank fears that such a ripple effect could hit loan portfolios overall. Despite the dire warnings, the Bank’s semi-annual analysis — the first under its new governor –does state that the risks posed to the financial system have lessened, so long as borrowing costs remain at low levels. 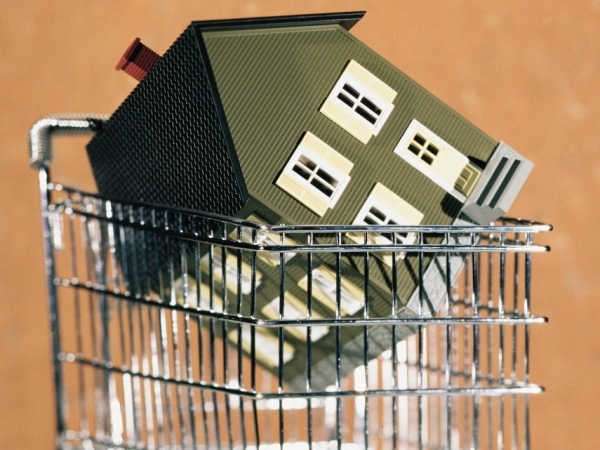 It also expects that the current correction in housing will continue to go smoothly, despite the current risks. Canadian home sales fell 2.6 per cent in May from a year ago, a sign, says some, the market is headed for a landing without the thud many investors feared. According to its latest, the Canadian Real Estate Association (CREA) is pointing to national home sales that rose 3.6 per cent from April to May. That likely reflects the seasonal spring ramp-up, which also extended to the number of listing — up 1.9 per cent from April to May. CREA suggests that data indicates the Canadian housing market remains firmly in balanced territory, although the average sale price also rose 3.7 per cent on a year-over-year basis in May. Still, the price buoyancy, despite a slower market, continues to present cash flow challenges to investors looking to buy properties and access interest rates that continue to be near historic lows. That trendline has likely helped to keep the average home price high as buyers still find a way to qualify for mortgages despite tighter mortgage rules. You are currently browsing the Les Twarog Vancouver Real Estate and Condo Blog blog archives for June, 2013.